Beautiful pictures to put you in the holiday spirit. Love them. :) I've never semifredo. I'm so deprived! I am in awe every time I visit your site. Great holiday post! OMG... that looks soooo DELICIOUS... PLEASE let me come over and taste test it for you!!! Wow! The details are extraordinary, just boggles my mind that it's sugar. And yes, even the cracked egg with yolk there on the table! This post will certainly get you in the holiday spirit! Such beautiful photos and a delicious recipe to go with. Fabulous. Your pictures are beautiful...and very yummy looking! 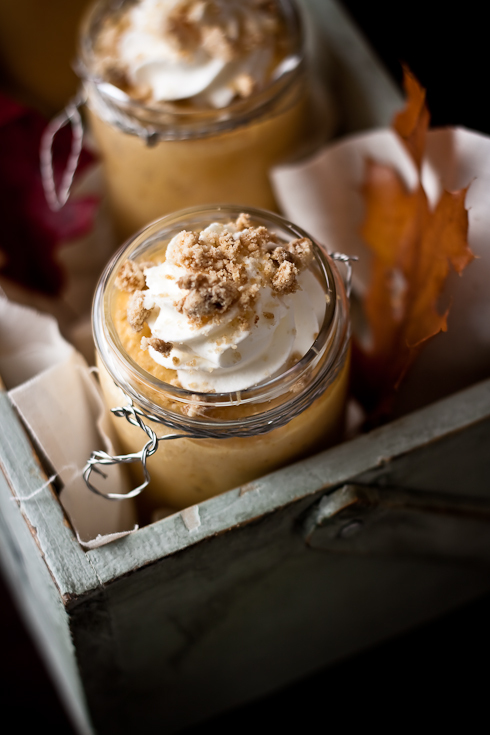 I was thinking of making my own pumpkin custards for Thanksgiving but I may have to give these a try instead! Sounds like it was a lot of work and a lot of fun. I can't believe the level of detail on some of these houses - incredible. Great photos too! Those gingerbread houses are absolutely stunning! So much detail and such artistry. Congratulations to all who made it in the top 10! That pumpkin semifreddo has go me drooling. My parents just went gluten free so I just may have to make this for them over the holidays. Happy Thanksgiving to you! that must have been fun! also, i love your twist on Thanksgiving dessert, and your presentation is impeccable and lovely, as usual. and i have a little giveaway on my blog if you want to play! Thanks for sharing the photos with us. It looks like there were some amazing works to judge there. Wishing you and your family a wonderful Thanksgiving. Beautiful photography! I hope they had as much fun making those gorgeous creations as you did judging them. Happy Thankgiving to you! Woоооw! Incredible beauty! I stayed left speechless!!! I have a small question Helen. I live in Montreal (Canada) and can't find brown rice flour anywhere. Is there a way of making it with brown rice? Will it be the same if I just grind it? Or do you know any online vendors? Thank you in advance. As someone who has been known to watch the national gingerbread house competition on TV, I appreciated the insider's perspective! Thanks for those up-close photos of the beautiful detail. 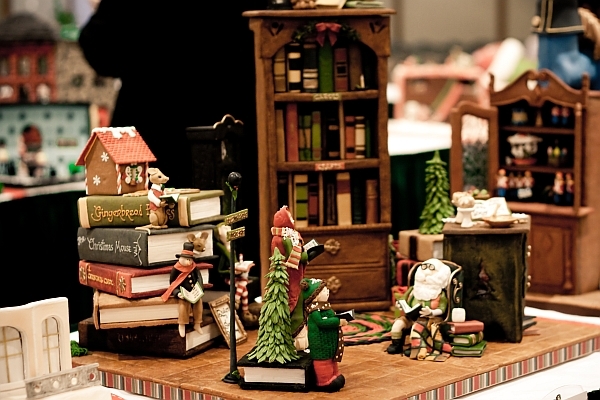 I love the gingerbread library! Karine Keldany: I make my own by grinding raw brown rice in a coffee grinder until very fine and by sifting it before using. This post put me in the holiday season early! I love it. Have a great Thanksgiving and enjoy the semifreddo! Looks like a blast! And the semifreddo sounds delicious. Since my Thanksgiving was a month ago, this may just be the perfect way to end November, or at least the week =D. How fun! Those houses are so adorable! I love those Christmas decors! Beautiful shots and Happy Thanksgiving Tartelette! 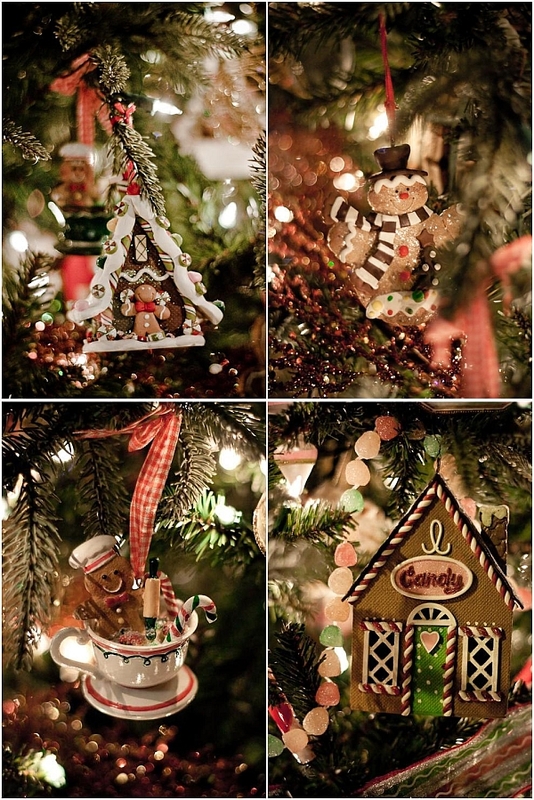 i'm definitely in the Christmas mood now after seeing these pics! mmmmm i love everything pumpkin!!! I want to make this recipe for thanksgiving but I'm slightly confused. How do you get the 'mass cold and airy' when you are pouring hot liquid onto the yolks? I think I missed something. 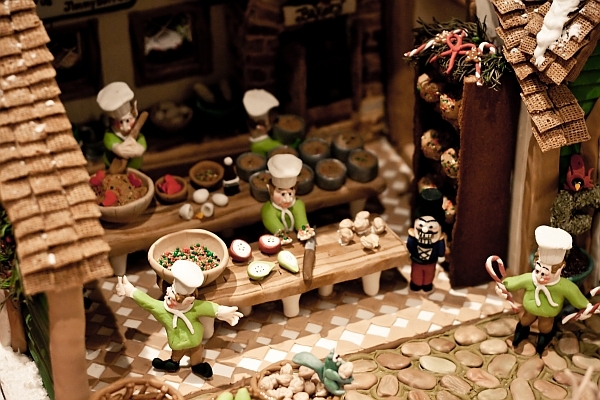 Thanks for sharing your awesome photos and experience at the gingerbread competition. The details of the houses blow my mind. The pumpkin semifreddo sounds so light and refreshing, just what you need after a big meal. alisa: the hot liquid tempers the egg yolks bringing them to a temperature that is safe to be eaten (as they are not cooked in a cake for example). The continuing whipping until they are cold and airy is two-fold: the batter won't melt your whipped cream as the two come into contact and the air you incorporate as you whip is there to create the light texture of the frozen base, kind of like churning an ice cream base. Between the pumpkin and gingerbread I smell holidays. I understand "the lost" part of this past year. My husband lost his job and has started a business venture with one set back after another, but also with blessings. I'm going to browse your site to make him something special. We still feel very fortunate. Your site is so beautiful, not just the pictures, but your personality comes through and keeps me coming back. Looks yummy! Awesome photography & styling as always! Wow! What an honor to be able to judge such masterpieces! That semifreddo sounds really good! think I'll make some of that for friday when I'm just having dinner with my dad! 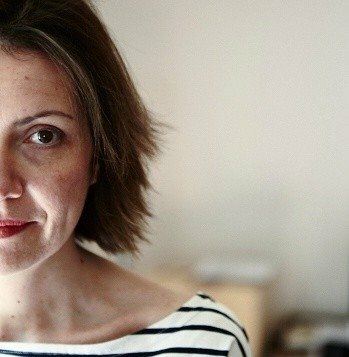 Happy thanksgiving Helen, I am so thankful for all of the inspiration you give me all the time. The semifreddo looks unbelievably good and I'm sure it tastes every bit as good as it looks. The photography in your post is really spectacular. Have a wonderful holiday. It is incredible! I'm amazed by the level of details in all the houses on display (and there were many!). What an incredible experience! Needless to say that you are putting me in a Holiday mood (and mode). I am just so disappointed you did not post any recipe for gingerbread (but maybe it's already on your blog). My husband and I wanted to make one with our children for Christmas. In the meantime, I'll try the semi-freddo. Merci and Happy Thanksgiving to you and your family. gaelle: there are so many people making great gingerbread that I tend to leave that expertise to them. And I seriously lack time and space these days to venture into it!! What a wonderful post. I am sure it was bliss being there, it looks beyond charming! Thank you, for the timely holiday inpsiration. Thanks for sharing this event. 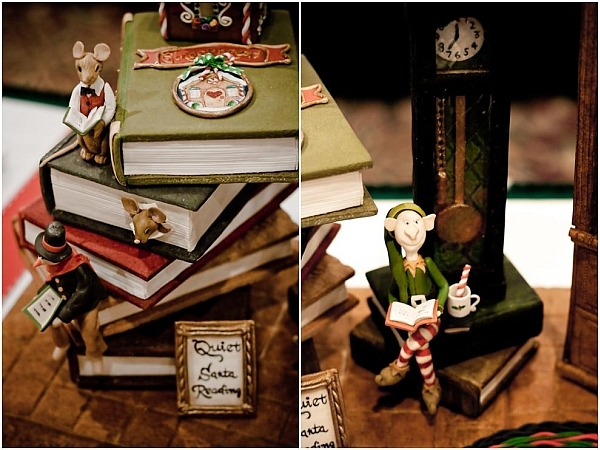 I am so blown away by the artistry and le savoir-faire of these pastry artists. I wonder how many hours went into each one of these! Mmm, absolutely gorgeous! Makes me feel all warm and mumsy :-) Thank you! 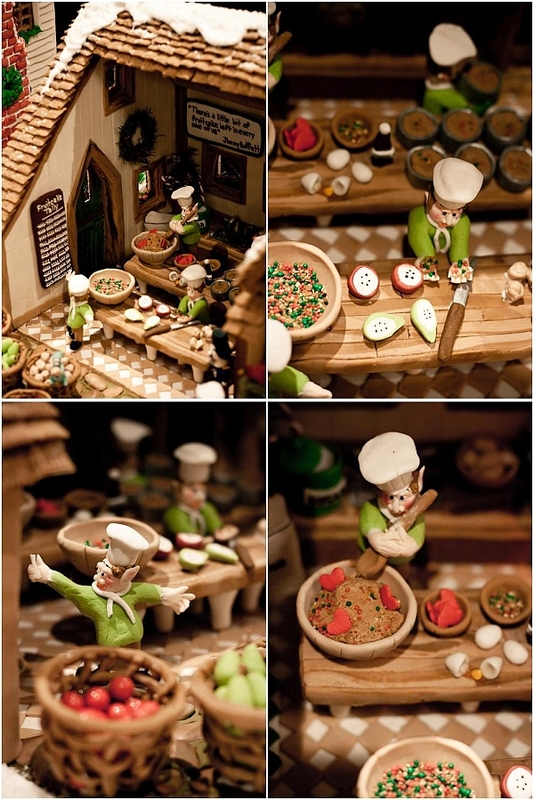 Awesome pictures, awesome details on the gingerbread houses. Read this post really put me into festive mood. 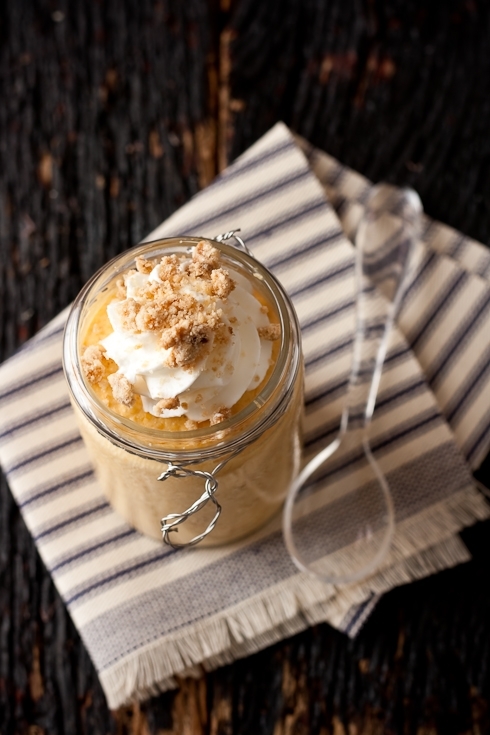 Nothing like pumpkin and cream together this time of year. Delicious. Just got back yesterday from The Grove Park. The creations were lovely and your two favorites were definitely in my top picks. Amazing. Have yet to look through my photos but I hope I managed to get some as good as yours. Look forward to posting about it next week. Pumpkin semifreddo...yum! I wish I would've known that was there too! my spirit is lifted when I saw all those holiday pictures! happy Thanksgiving to you Helen! Thanks so much for sharing those pictures! Incredible, the amount of detail in those houses. Love your semifreddo too. this post is making me feel all warm and fuzzy inside! how i love this time of year! Love the warm colours of the photos. The semifreddo looks lovely. Happy thanksgiving to you and your family! thanks for the semifreddo recipe - looks great. That dessert looks delicious and I don't eat pumpkin that often. 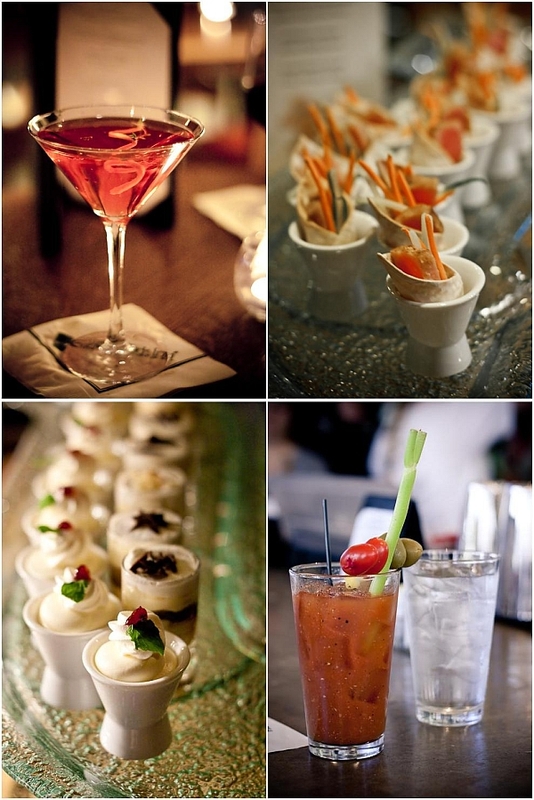 You certainly have a knack for coming up with out of the box recipes and presentations. The details on those gingerbread houses are amazing. I have no doubt that the contestants hands were throbbing after doing those meticulous designs. I'm in awe of the limitless imaginations of some people. I'm sure the judges had a very hard time narrowing it down. I just love this! It is just so fantastic - all that detail!! I love the pumpkin semifreddo!! love it in the jars too! Oh my!! Those houses are amazing!!! The details in those Gingerbread houses blow me away! The pictures of all the Christmas stuff are so beautiful and you know that the holidays are just around the corner. Although Chinese New Year is a big holiday in Singapore, I always enjoy Christmas more .. the whole atmosphere makes me feel so warm and comforted. Wow wonderful pictures. There is just so much detail in the houses - amazing. Beautiful photos and gingerbread houses! The photos make me feel as if I'm watching a stop motion film unfold in slow motion. Beautiful gingerbread houses. Wow! The attention to detail is phenomenal! What gorgeous pictures! I am floored with the detail in the houses! My favourite is the fruitcake house! 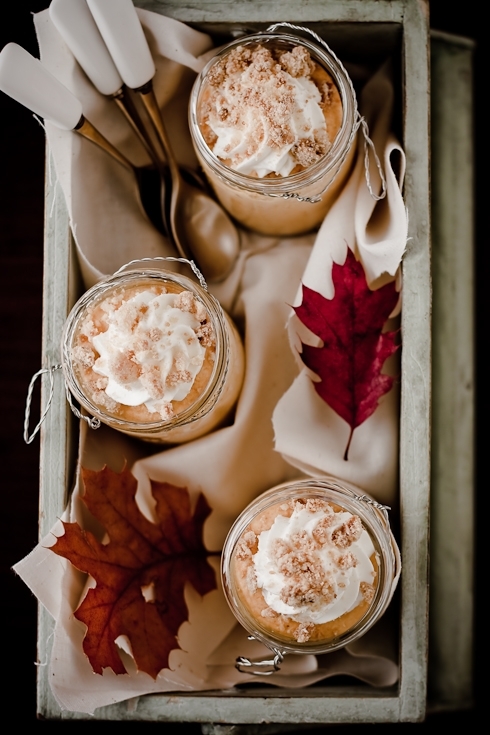 This is a gorgeous dessert, and as I cannot face one more pumpkin pie, I will be using this recipe to take care of the remaining pumpkin puree in my refrigerator. Thank you!! Wow,looks like such a fantastic time--such amazing artistry. The pumpkin semifreddo would be a great alternative to the pumpkin pie. Hope you had a great Thanksgiving! Your photos are stunning! They are making me hungry and it is only 8am here in New Zealand and breakfast has not long passed! It is so beautiful to see all your Christmas photos too - the first things to really get me into the Christmas spirit. This really gets you into the spirit of Christmas. Beautiful photos. Where to start.... It sounds like you had a great time. Love the detailed scenes you captured, truly shows off the artistry of the builders, but of the photographer too. I can almost picture some of those scenes coming to life. Also love that you've turned the quintessential Thanksgiving dessert into an Italian masterpiece. What a gorgeous post - it really puts me in the spirit! Brilliant choice in having you as a judge! We went to see the houses yesterday and the book and bakery two were my favorites. Your photos do them so much justice; the rest of us have to view them behind glass. Beautiful post. Beautiful place. Beautiful food. Helen, you are part artist and part genius! 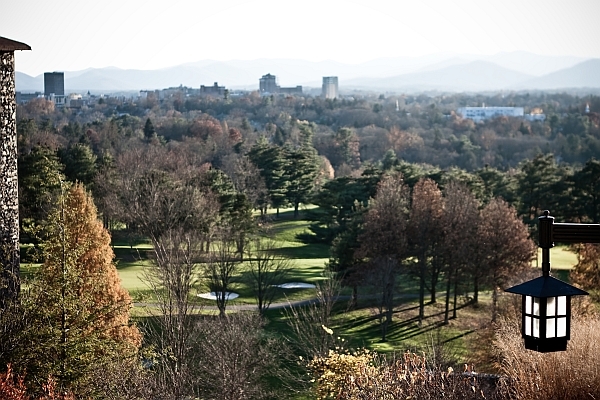 You write the best blog posts and the photography with it is always exceptional. Thank you for joining us again! I deeply regretted being out of the country while you were here (full disclosure: only I regretted missing you but loved my trip to Mexico!). What a fabulous event that you were involved in. And judging all those creations????? So difficult. I see things like this, and it really starts to feel festive - even though the weather here in Brisbane doesn't! I love your site and appreciate the photography.Great.I have a question for the group.I want to make this but where I live (Arkansas)I can't get tapioca and sorgum flour.What can I do to make this? tapioca flour is also called tapioca starch. You can replace it with potato or cornstarch. For the sorghum, you can use sweet rice or regular rice flour, amaranth, millet, quinoa flour, almond flour or any other nut flour, even coconut flour, etc.. If you don't have to go gluten free you can replace all the non gf flours with 1 cup all purpose flour. The detail in those gingerbread houses is astonishing. Crazy stuff! 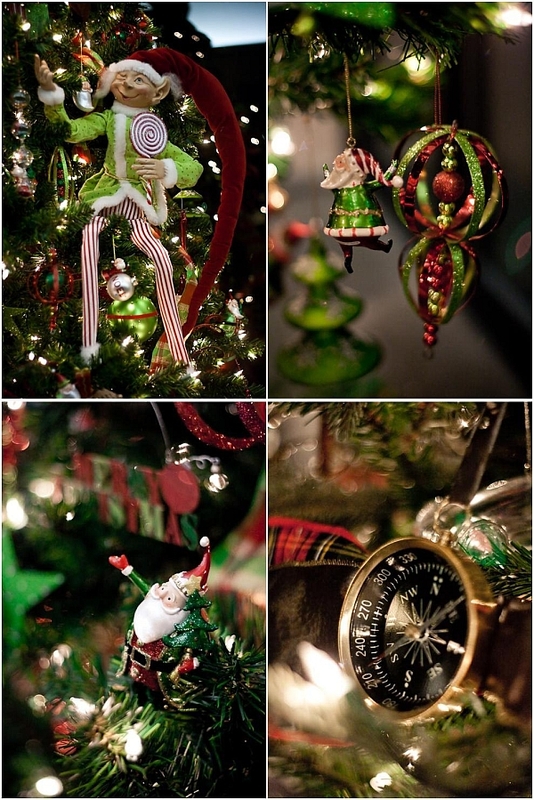 Beautiful shots of the ornaments. I will be trying these~~ Thank you so much for posting it!! My daughter asked me just yesterday if she can ever have pumpkin pie again (recently diagnosed with Celiac) I will be making these for her tonight! The gluten free topping will make her SO happy! I made this the other day and it is delicious indeed. Maybe a little late in the season.. but I wager there is nothing wrong with a little nostalgia. I wonder how it might taste with a little yogurt added to the cream. Anyway, thank you!